This is the writing equivalent of the man-cave. Locking myself in a kid-free house for a week and not leaving until I have given birth to a book. There is chocolate on tap and the Gin bottle hidden. So I decided to redecorate. 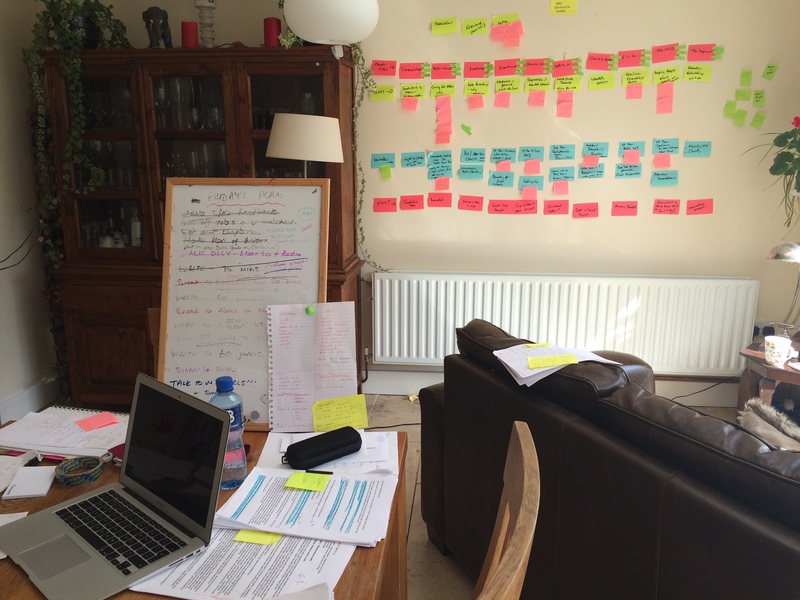 I love the new look – a wall decorated with a Book in Post-its……. I wonder will it catch on?